Smooth Law takes privacy and confidentiality very seriously. We comply with the Data Protection Act 1998 and related legislation. This policy explains how we use information about those who visit our website and provide us with information about a potential claim, and about those who subscribe to our email updates. By visiting our website and submitting information to us, you consent to our using information in accordance with this policy. If you are a client of the firm, we may use information about you in different ways. Further information about this is available on request. We invite you to provide personal information by filling in our claim forms, by email or to subscribe to our mailing list, if for example, you are interested in finding out about news or events or subscribing to our email updates. We will retain your personal details and use them in accordance with your request and/or to provide you with information about legal developments, news or events. If you no longer wish to receive information or email updates, you can notify us of this by contacting Louise Lunt louise.lunt@smoothlaw.co.uk. We will only disclose information to suppliers who process information on our behalf or other organisations with whom we are jointly organising an event such as a legal seminar. We will not disclose information on your claim to anyone without your prior approval, unless we are legally required to do so, or in the event of the sale of the business and/or assets of Smooth Law Limited. You have the right to access information we hold about you.  Please email Louise Lunt louise.lunt@smoothlaw.co.uk if you wish to make an access request, if you would like to amend the information we hold about you or if you have any other queries about this policy. Information is transmitted over a secure link, using 128 bit encryption. Our security measures include the use of intrusion detection systems. The internet is not a secure medium. Although we have endeavoured to protect the security of the information we collect and process, we cannot ensure the security of data transmitted to or from our website via the internet. Any transmission is at your own risk (including the sending or receiving of email messages). Where you are provided with any confidential information (including a user ID or password), you must note disclose such information to any third party. This website and your use of it is governed by the laws of England and Wales. In accessing this website you agree that any dispute about its use will be determined only by the courts of England and Wales. Please note that this policy does not create any contractual or other legal rights. We may change this policy at any time by updating this page, and therefore recommend you check this page from time to time to ensure you are referring to the current policy. Your continued use of our website, following the posting of any changes, indicates your acceptance of such changes. This policy is effective from 17/9/2015.